I am giving a talk about the joys of Twitter in three weeks time as part of a professional development day for the staff of Otago Polytechnic. As part of my preparation, I thought I'd reflect on how I have been using Twitter, and the benefits I have found over the last twelve month. So here's six (random) examples of how I have used Twitter. I received a tremendous amount of personal, social support when I was living in Brisbane for six months away from my family in New Zealand. I felt very alone and homesick at time, but the conversation, advice and good humor provided by my Twitter friends kept me going. An added bonus was that I was able to meet a number of these wonderful people face-to-face during my time in Australia. One of my ongoing projects is the Virtual International Day of the Midwife which I facilitated last year and have just started the planning for this year. Twitter allowed (is allowing) me to get instant feedback and advice while I was planning details, and disseminate information about the activities. The other thing it allowed me to do was instantly access people with the ability to help me solve technical problems. In particular, I had some problems with the virtual classroom we were using, and was unable to access the support staff at the weekend. Via Twitter, I was able to get instant hold of Jo and Phil Hart who worked virtually with me to solve my technical problems....at a drop of a hat. I would have been very hard pushed to have found that sort of instant help, at the weekend, in other environments. I use Twitter to tell people about my academic work. 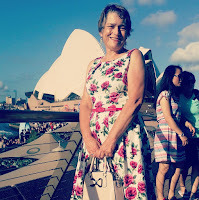 As a result of my conversations, I have been asked to speak at several workshops and study days including the Edna workshop in Brisbane last year, where I talked to teachers about using social media in education. I have also be invited to join a collaborative, international research project which I am currently working on. You wouldn't think I would need help to make friends in the place where I live, would you? The irony is that I developed a social network of friends and contacts in Dunedin while I was living in Brisbane last year. This social networking on Twitter has led to a number of face-to-face meetings and social gatherings in Dunedin since I came home. I have a far stronger feeling of belonging to Dunedin than I ever had before Twitter. This local networking has also opened doors to professional contacts that will be useful to me in my new job at the Otago Polytechnic Educational Development Centre. My other big project last year was the development of the Second Life virtual birthing unit. Twitter allowed me to connect with people who were Second Life experts; network with people who were doing similar work; disseminate information about the project, and ask for advice and feedback as we went along. 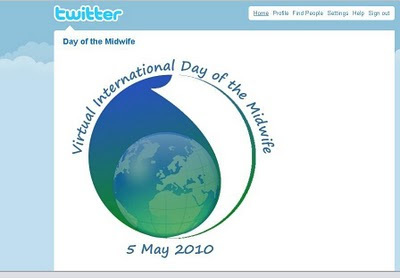 For example, I used Twitter to get people's thoughts on what was important about environment when giving birth - the answers were then incorporated into the design of the virtual birth unit. Do you have a Twitter account and use it regularly? How do you use Twitter? What do you feel are the benefits? Thanks for this post Sarah, and sorry I mucked up my retweet today inferring you had no friends on google wave! I am quite new at using twitter to try to build networks, and I would love to know how you found the best followers or people to follow, and how you built up separate networks (as exemplified in your post above) so quickly? I too am trying to promote both my academic work and research in online learning and teaching, and my department COFA Online through social media, and while I am getting there slowly, I feel I am missing some of the more relevant groups in twitter. @Hilary Let me know how you get on. I think it will work sending messages to students but I wouldn't expect them to message back cos it will use up their precious credit. Here's my 3 quick tips for building a network. 1. Think of someone you respect on Twitter - have a look at who they follow and follow them.